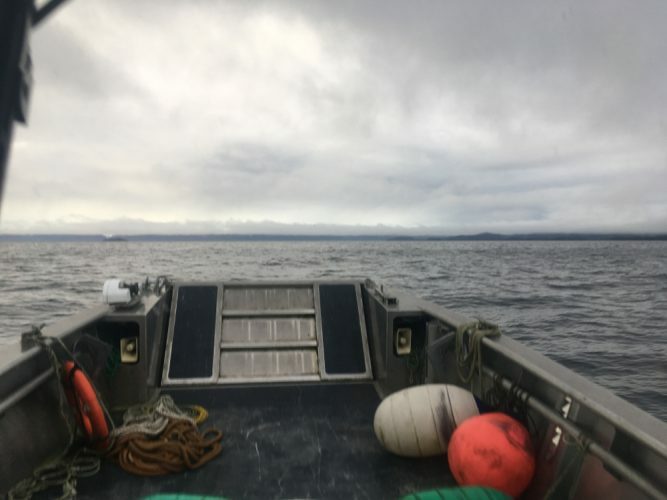 Guardian Flight has been using a remotely operated vehicle (ROV) to search the sea floor in the area where the Beechcraft King Air 200 plane crashed en route from Anchorage to Kake to pick up a patient January 29th. Guardian Flight says the ROV has also located landing gear and an engine from the plane. Clint Johnson, chief for the Alaska regional office of the National Transportation Safety Board, said the NTSB has taken custody of the cockpit voice recorder, commonly called a “black box,” and confirms it is from the crashed aircraft. “We’re working right now to get a plan formulated to be able to get that cockpit voice recorder back to our Washington D.C. vehicle recorder lab where they hopefully can download that information and hopefully give us a little bit more insight of the sequence of events of this tragic accident,” Johnson said Tuesday. Johnson said it’s still not known whether the recorder was working or captured information from the crash. The NTSB has an investigator on-board the recovery boat in Frederick Sound. Johnson said the NTSB hopes to know more about plans for recovering other parts of the plane within the next 24 to 48 hours. In an email, Randy Lyman, Guardian Flight’s senior vice president of operations, calls the discovery a “positive development in the search” but also a “heartbreaking time” for the company and families of the lost crew. Three people — a pilot, nurse and a paramedic — died in the crash. Guardian Flight says it continues to search for the crew members. The company has been using side scanning sonar and a submersible R-O-V with robotic arms to search 7.5 square miles looking for the black box and parts of the plane scattered on the sea floor hundreds of feet below the surface.